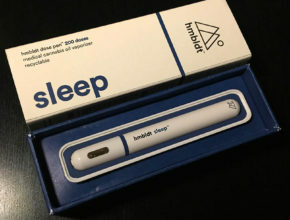 The hmbldt dose pen is the first of its kind. The team over at hmbldt has engineered the perfect disposable vape with its targeted formulas and precise dosing, setting the new standard in medical cannabis. We were fortunate to learn about the hmbldt dose pen at the Abbot Kinney fest in Venice, California last summer. hmbldt had a small stand set up to demo their product line around the time of its major launch into the mainstream cannabis market in California. Named one of the best 25 inventions of 2016 by Times magazine, the folks over at hmbldt are certainly doing medical cannabis – the right way. 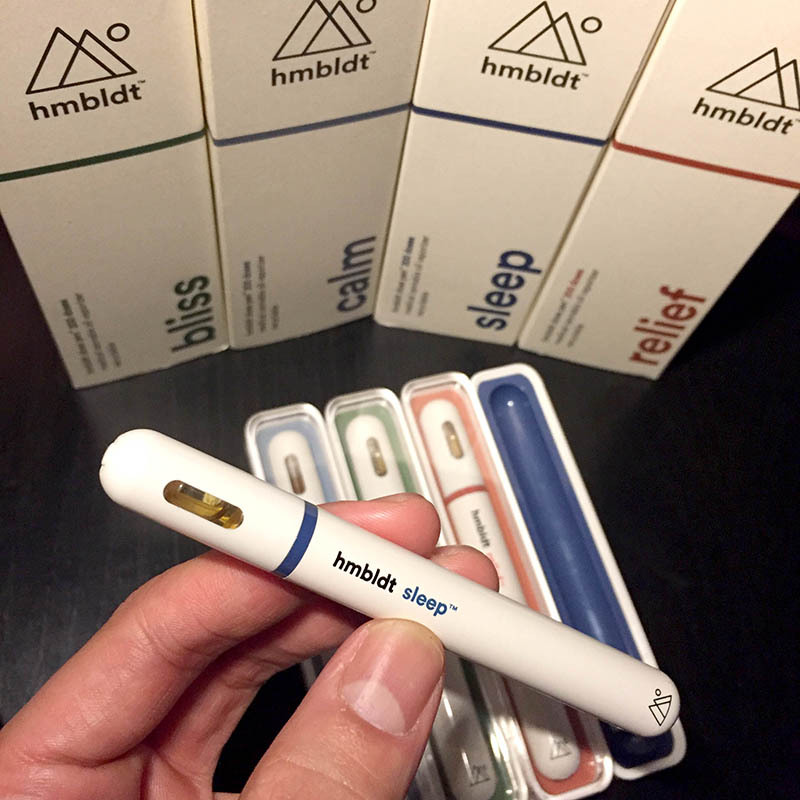 When we first got a hold of the hmbldt dose pen, we were blown away by the packaging and overall presentation. Unboxing each hmbldt pen reminded us of that feeling you get when unboxing a shiny new Apple iPhone for the first time. The hmbldt brand is on point from its visual presentation, lab facts labeling, all the way through to its targeted cannabis oil formulas and of course, the vaporizer device itself. This is how medical cannabis should be done. If you’re a recreational user simply looking to get stoned, this is not the product for you. We were able to test the full product line which includes their targeted formulas for calm, sleep, relief and bliss. Each vaporizer is compact and conveniently pre-charged and pre-filled with oil, ready for use right out of the box. We found each vape to have a similar taste and smell with slight variations. After a full 3-second pull, we experienced refreshing, citrus flavors along with some mildly pepper notes and light floral undertones – very clean and natural tasting. Each vape seemed to produce the desired effect you would expect from their targeted formulas. We particularly enjoyed the hmbldt calm and the hmbldt sleep formulas. If you know anything about the science behind major cannabinoids and terpenes, then you’ll find the hmbldt formulas to be consistent with the latest cannabis research. At 2.25 mg per dose, 2-3 doses of the sleep formula definitely eases you nicely into sweet dreams. The calm formula, with its high CBD and low THC formula blended with the right terpenes, will relax the mind and body with little to no psychoactive effects as expected. 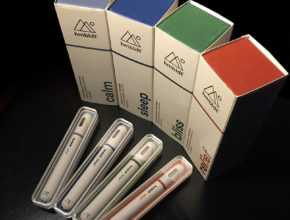 The production quality and technology behind each hmbldt dose pen is outstanding. Their targeted cannabis oil formulas are backed by scientific research studies and patient data. Their formulas are then delivered through their proprietary vape pen technology which delivers accurate and consistent doses every time. Every hmbldt vape pen is prefilled with quality cannabis oil formulated for specific health benefits. The vape pen features a 260 mAh lithium-ion battery and a micro-processor chip that controls the optimized temperature, air flow, and timing. 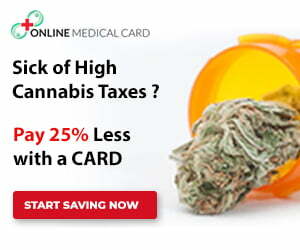 This ensures that you receive an exact delivery of 2.25 mg dosage of pure cannabinoids and terpene vapors. Each vape is metered to provide around 200 doses. The vape tip is fitted with a white LED light that lights up while you’re inhaling. When you’ve completed a full hit after three seconds, the pen will alert you by vibrating and automatically cutting off. This is great for those new to vaping. You don’t have to worry about how much you’re inhaling and can rest assured of the exact dosage. To top it off, the vape pen is super sleek and sturdy, built of quality materials. It looks and feels like a piece of high end tech, yet at the same time is discreet for carrying around in your pocket. 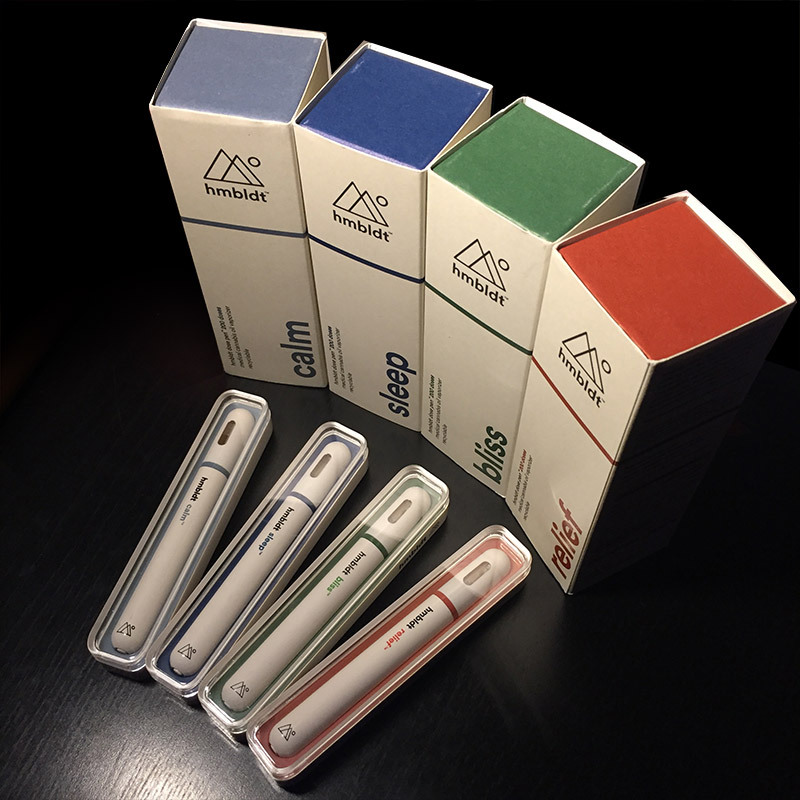 Each hmbldt dose pen contains 500 mg of cannabis oil rich in specific cannabinoid and terpene blends. One full inhalation will deliver a single dose of 2.25 mg of their target formula. Generally, every pen is formulated for a cannabinoid to terpene ratio of 88% cannabinoids to 12% terpenes. When it comes to vaping and medical cannabis, there’s no denying that hmbldt is leading the industry. There’s very few cannabis vape options designed with specific medical benefits in mind. 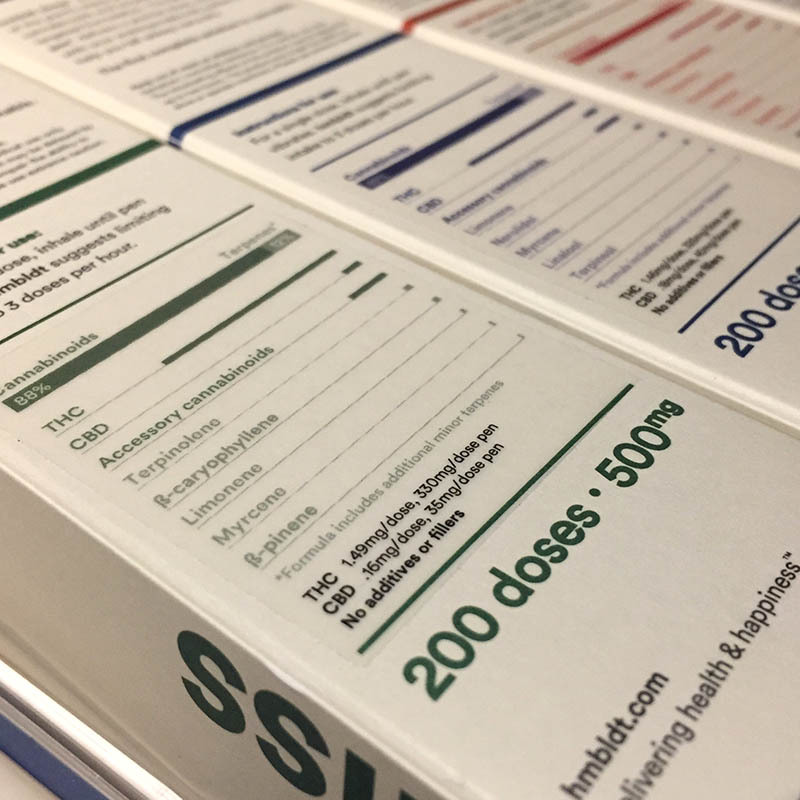 The hmbldt dose pen is a great option to achieve the desired effects for a variety of conditions. If you care about the quality of your vape experience and you prefer accurate, consistent dosing, the hmbldt is hands down one of the best options out there. 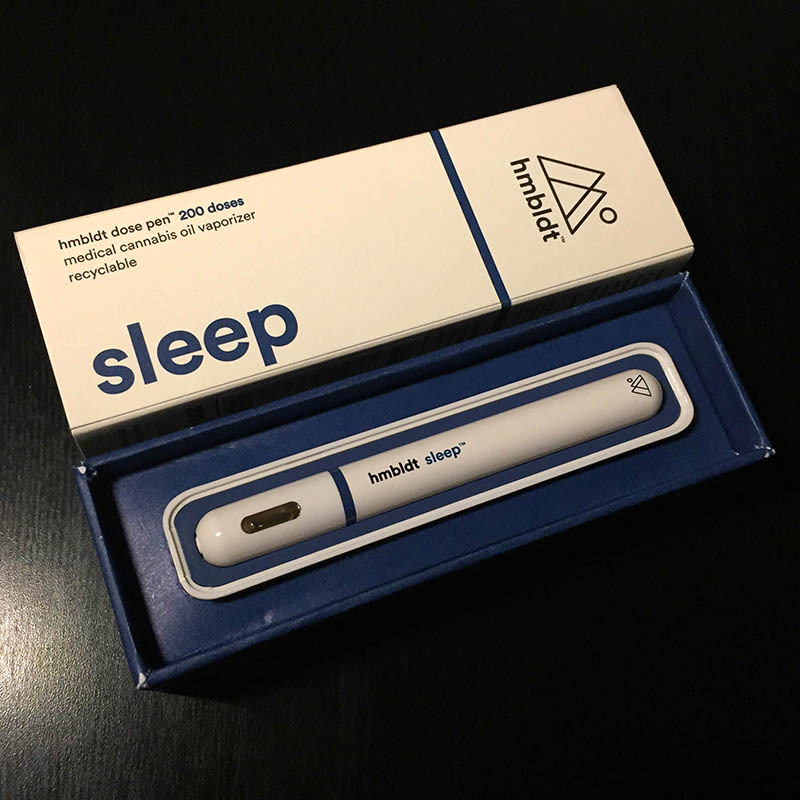 The hmbldt dose pen retails for $100 per 200 dose vaporizer. This disposable vape is available at many dispensaries throughout SoCal. Check this list of California locations to find the hmbldt dose pen outside of Los Angeles. hmbldt recycling program: hmbldt has a recycling program that encourages patients to return used hmbldt pens back to the original dispensary where purchased. 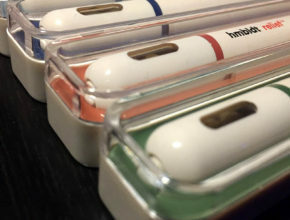 Each returned hmbldt dose pen will get you $5 off your next hmbldt pen. 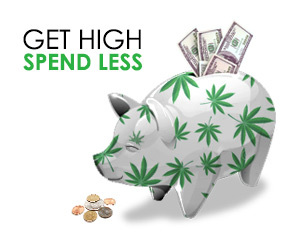 Ask your dispensary about this program!